The following two postings show a cake and matching cupcake tower for a baby's naming ceremony. Her initial was placed on each cupcake. 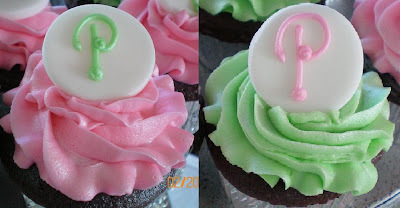 Both the cake and cupcakes were finished with a pearl sheen to give it the extra girly shine.